Having graduated in the field of English translation, I found myself interested in philosophy of religions. The more I read about it, the more fascinated I became. This is why I changed my field of study to philosophy of religions as an M.A. student. I have been teaching English as a foreign language to both adults and young adults in Iran. Rashid Farajzadeh changed their profile image. Rashid Farajzadeh added interests languages, poetry, philosophy and more. 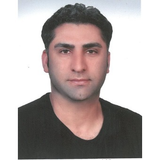 Rashid Farajzadeh updated their profile information.